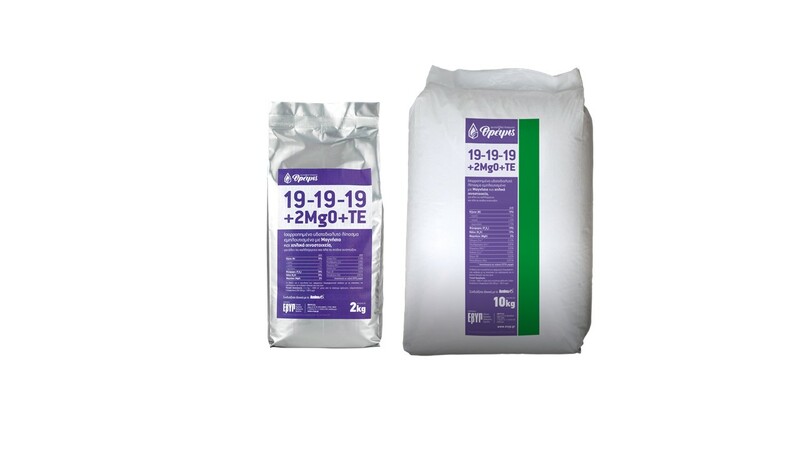 The Threpsis 19-19-19+2MgO+ΤΕ powder fertiliser is produced after careful selection only of top-quality, very high-purity raw materials, without chlorides or biurets, to ensure excellent solubility, low salinity and very high quality, for maximum yields in all crops. It is ideally combined with Amino 16 to maximise crop yields. Balanced water-soluble fertiliser enriched with Magnesium and chelated micronutrients for all crops and all development stages.